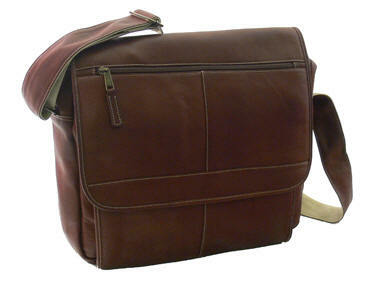 Classic, traditional and functional bags are in rich Vaquetta leather. Large, open main compartment with padded Laptop section. Complete organizer section under the front flap. Front flap secures to body via snap closure. Full-length open pocket in back. Adjustable shoulder strap. Send an email to us to find out when it will be back in stock.